It means companies such as Asus, HTC and other Windows partner can now build devices for augmented reality and virtual reality using Microsoft’s technology. HoloLens smart eyeware can layer virtual objects on top of the real world. Unlike virtual reality devices such as the Oculus Rift, a person wearing HoloLens can still see the world around them, because the virtual objects are projected onto a clear display. 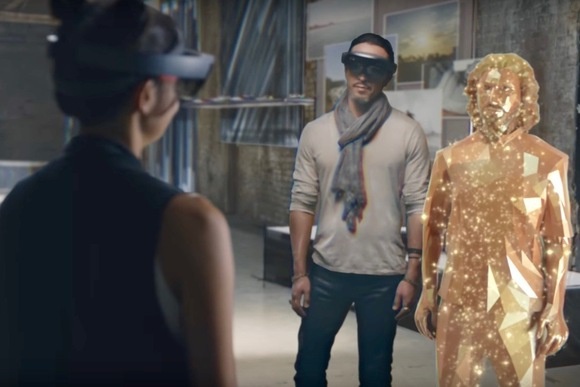 Microsoft sees Windows Holographic, the platform behind HoloLens, as a way for people wearing different AR and VR headsets to communicate with each other in their respective virtual environments. 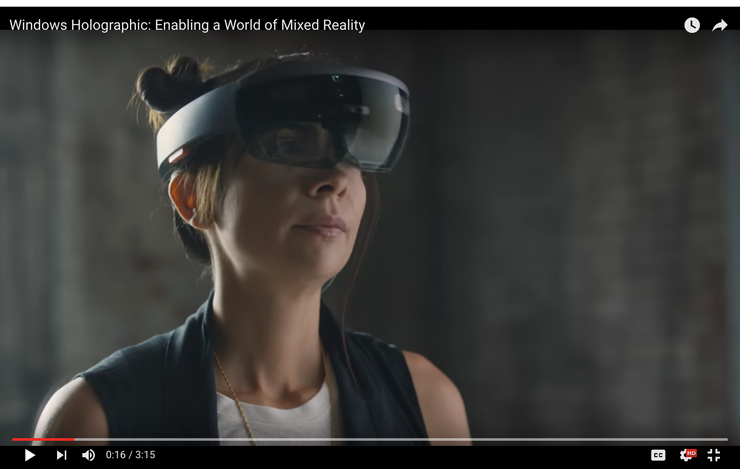 In a promotional video Microsoft released Wednesday, one person wearing a HoloLens “appears” in the virtual world of a person wearing a VR headset, and the two converse. "There's such a commonality between VR and AR that devices in both spaces need to share experiences, so we’re calling it mixed reality," Terry Meyerson, the head of Microsoft's Windows and Devices Group, told reporters at Computex in Taipei. The potential for communication between devices seems not to be limited to those running Windows Holographic: the VR headset in Microsoft's video is the HTV Vive. Microsoft apparently worked with HTC to make the Vive and its own VR software interoperate. It's not disclosing business terms yet, but Microsoft will presumably license the technology, which is calls Windows Holographic, in a similar model that it uses for Windows and PCs. Its goal is to create en ecosystem of many different types of Windows Holographic devices, one in which they share common interface elements and can run the same applications. Windows Holographic includes “a holographic shell and interaction model, perception APIs, and Xbox Live services," the company said. It won't provide more details until a WinHEC conference it plans to hold this fall. HoloLens is currently available only to developers. Microsoft has been marketing it primarily as a tool for business users and it’s priced at a hefty US$3,000. It wants its partners to build products at different price points and with different levels of sophistication, Myerson said. A common criticism of the HoloLens is that it gives only a narrow field of view, something Myerson was about in Taipei. “There will be partners who build devices with a wider field of view than HoloLens, I’m sure of that,” he said.